A new study, Impact of Reform on Physician Dispensing and Prescription Prices in Georgia, from the Workers Compensation Research Institute (WCRI) examines early results of Georgia’s reform, effective April 2011, which changed the reimbursement rules for physician-dispensed prescriptions. In many states across the country, policymakers are debating whether doctors should be paid significantly more than pharmacies for dispensing the same drug. Policymakers in Georgia adopted new rules to narrow the price difference. New regulations in Georgia reduced prices paid for physician-dispensed drugs by 22-36 percent and many physicians continued to dispense Rx to injured workers, said a new study from the Workers Compensation Research Institute (WCRI). The study, Impact of Reform on Physician Dispensing and Prescription Prices in Georgia, examines early results of Georgia’s reform, which was effective April 2011, using pre- and post-reform data. The reform capped the reimbursement amount for physician-dispensed prescriptions to the average wholesale price (AWP) of the original drug product while continuing to allow physicians to dispense prescriptions. Prior to the rule change, for example, a prescription for ibuprofen cost $0.29 per pill when filled at a pharmacy, but $0.59 when filled at the doctors’ offices. After the reform, the prices paid to physicians who dispense fell significantly. For example, the average price of physician-dispensed hydrocodone-acetaminophen decreased by 36 percent, from $1.05 per pill in the pre-reform period to $0.67 per pill in the post-reform period. By comparison, during the same time period, the price per pill of the same drug dispensed at a pharmacy changed little from $0.46 to $.0.48 per pill. The data used in this analysis of Georgia’s pharmacy fee schedule reform are from payors in Georgia that represent 34 percent of the claims in the state. The pre-reform data consist of claims from 3,132 injured workers with more than one week of lost time. 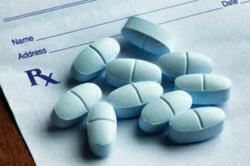 These claims arose between April 1, 2010, and September 30, 2010, with 17,967 prescriptions filled through March 31, 2011. The post-reform data consist of 2,998 claims that arose between April 1, 2011, and September 30, 2011, with 15,804 prescriptions filled through March 31, 2012. Click on the following link to purchase this study: http://www.wcrinet.org/result/impact_of_reform_phys_disp_ga_result.html. The Workers Compensation Research Institute (WCRI) is an independent, not-for-profit research organization based in Cambridge, MA. Founded in 1983, the WCRI is recognized as a leader in providing high-quality, credible, and objective information about public policy issues involving workers' compensation systems. WCRI's diverse membership includes employers; insurers; governmental entities; managed care companies; health care providers; insurance regulators; state labor organizations; and state administrative agencies in the U.S., Canada, Australia, and New Zealand. For more information, visit: http://www.wcrinet.org.